Along with cassettes and 8-tracks, magnetic strip credit cards are headed for the pastures being replaced by cards with chips and smartphones. This means that magnetic strip readers will soon be as obsolete as the cassette player in Dad’s old Buick. What does that mean for gift cards? A logical conclusion would be that gift cards will follow the EMV standard for credit cards: virtual on smartphones or rendered as chip based cards. This works well for virtual gift cards, but the physical card route will be cost prohibitive. Today, chip based cards run about $3.50 each which adds overhead of 7% to a $50 gift card and 35% to a $10 gift card. This bites directly into the bottom line for merchants and is an up-front, non capital cost. These cards will need to be designed and pre-printed. There are alternatives! A number of progressive merchants have already embraced gift cards using 2D barcodes. Most of these merchants use increasingly popular, non-proprietary tablet based POS equipment with camera built-in so no extra equipment is required to activate and redeem. As well, just about all managers own smartphones with cameras which provides both redundancy and convenience allowing customer gift card purchases to be on the floor, patio or hostess stand. It gets better. Almost all merchants have opted for paper based cards which are both economical and easy on the environment. There is enough plastic in this world already! 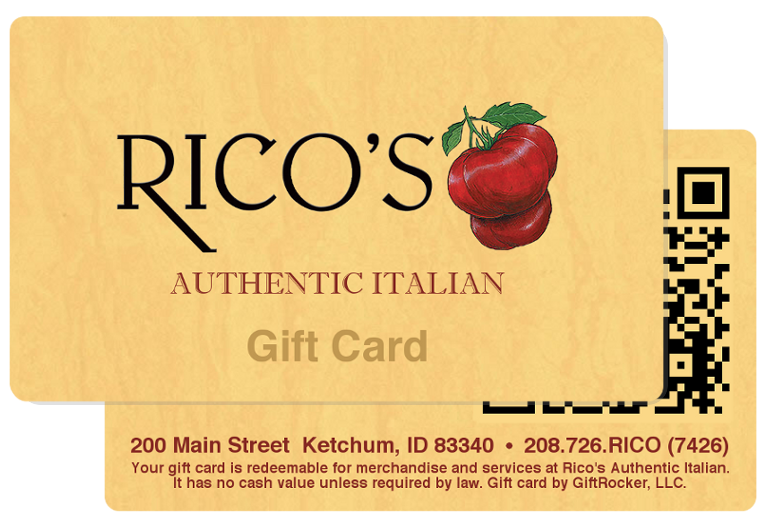 Using digital printing techniques, these physical gift cards can take many forms. 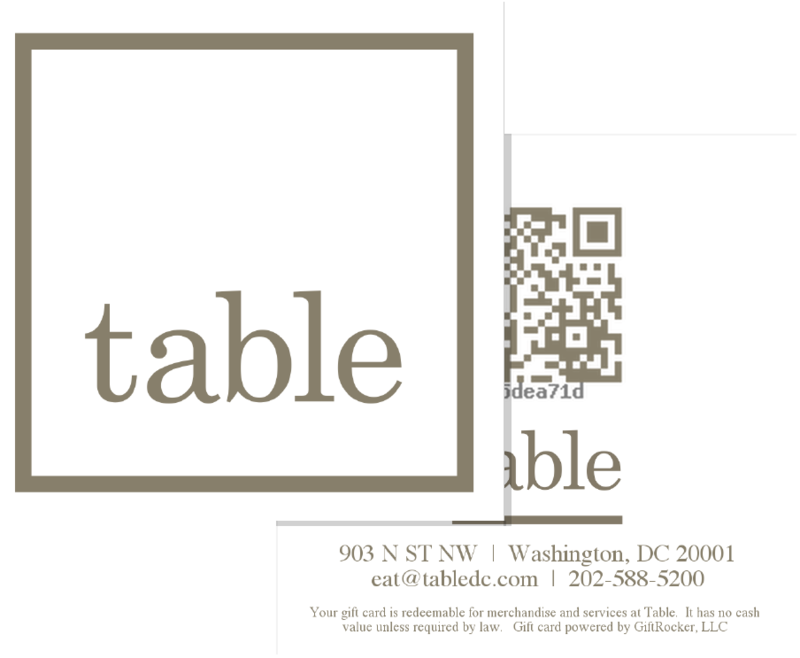 Top restaurants Rose’s Luxury in DC and Bâtard in NYC created straight forward traditional shaped cards with minimalist branding representing their respective awesome but no nonsense themes. DC’s Table created a unique square gift card to match their distinctive bold look. As well, owners are turning their business cards into cards that hold value and using them for marketing and customer retention. 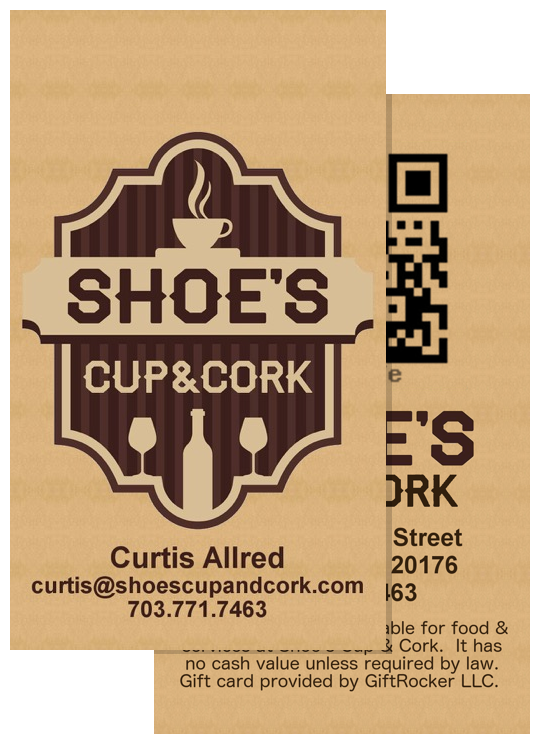 Curtis Allred of Shoe’s Cup & Cork in Leesburg, Virginia loves the direct interaction with customers as he is adding value to his business card, “The process itself creates conversation”. Taking a step back, this evolution should not be a surprise. One of the first applications of magnetic strips was on the back of airline tickets. Reading the strips allowed for a quick validation and checkin of passengers which was required as the number of passengers increased with the introduction of jumbo jets. Over the last few years, airlines magnetic strip technology was replaced by 2D barcodes which could be transmitted electronically to customers on virtual tickets… or printed on cards. GiftRocker provides best in class gifting and marketing tools for extraordinary shopkeepers. With the GiftRocker service, businesses can sell gift cards, events or just about anything from their website, on Facebook or from their iPhone. GiftRocker is also a pioneer in the 2D gift card space.